We engineer web-based signs that are incredibly smart, yet simple to use. Our signs let you do more with fewer resources, and our full-time technical support department will ensure that you maximize the utilization of your equipment. 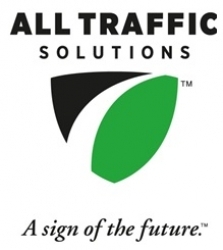 With thousands of signs in all 50 states and 20 countries, you can count on All Traffic Solutions to bring you truly innovative devices for the best traffic safety outcomes. From the beginning All Traffic Solutions has made tremendous advances in portable road sign technology. Starting with radar speed and variable message signs that were designed to be smarter, more portable, and easier to maintain than ever before, to engineering the first 100% integrated cloud-based line of traffic calming signs and solutions that allow users to remotely manage all their traffic safety equipment and data from anywhere there is an internet connection with TraffiCloud.